@FantasyNomad Show Ep 13: You Can Get With This, with me as a guest at 5:00! I join the show to help you decide who to ‘get with” come draft day, sleepers, busts, and much more, including Jeremy Hellickson, Dan Hudson, Michael Pineda, Max Scherzer, Pablo Sandoval, Ryan Zimmerman, Shin-soo Choo, Alex Gordon, Alex Avila, Matt Wieters, Justin Morneau, Paul Goldschmidt and more! 2012 Fantasy Baseball head-to-head Third Basemen Preview for FantasyPros911: http://fp911.com/2012-fantasy-baseball-3b-preview-h2h/, including in-depth analysis of David Wright, Michael Young, Aramis Ramirez, Pablo Sandoval, Brett Lawrie, Daniel Murphy, Ian Stewart, Scott Sizemore and others! Another twitter nomination! Sandoval confounded owners in 2010 after posting an incredibly good 152 game appearance in 2009. Given he only has 2+ years of MLB experience, it’s a bit difficult to parse whether 2009 or 2010 is closer to the real Sandoval. He did have a, perhaps high, .350 BABip in 2009 (but he also did in 154 MLB plate appearances in 2008 and similar numbers in the minors). So was his .291 mark in 2010 an aberration? I think it is – his line drive percentage, ground ball percentages, etc. are all in line with his major league track record. Consequently, I think he can bounce back to a .300 hitter (+/- .010), which is pretty nice. However, the other problem Sandoval had in 2010 was a decline in ISO from .226 in 2009 to just .184 last year. He hit 12 less HRs and halved his 2010 HR/FB rate. I’m going to split the difference on 2009/2010 and give him an ISO near .180 or so. If he gets 600 or so ABs, that should result in 16-20 HRs. Consequently, Sandoval looks to be a .300 hitting third baseman with moderate pop. Think of him as a Martin Prado-lite with fewer runs and more risk in batting average. He will likely out-RBI and –homer Prado though it could be closer than you think. I could see Sandoval passing Chase Headley, Michael Cuddyer, and Scott Rolen in my rankings, but am not sure he has top 10 upside. I think he is being a tad overvalued in drafts and would much rather secure a top flight third basemen or wait and pick up the scraps. Sandoval’s upside is not really worth a 10 – 12 round price tag. I know you’re just waiting for football to start (Go Eagles! ), but, for those of you still winning, I’ll post some quick guys to think about down the stretch, then you can get back to football. Jim Thome – For some reason, I’ve written a ton about Thome this year, maybe it’s because he keeps putting together pretty good seven day stretches (most recent = three HRs and a .455 AVG). The dude has 21 HRs on the year. If you need power, he’s available and willing to relocate. Ryan Kalish – Lost in the Red Sox lost season is the work Kalish has been doing. Over the last seven days, he has two steals and a .333 AVG. He got on base in the minors (.284 AVG and .372 OBP) and swiped bases and a nifty clip (84% success rate), so he could be a cheap source of steals and runs down the stretch. There could be an adjustment period, though, so don’t go adding him if you are worried about your ratio categories. Austin Jackson – Left for dead not too long ago, Jackson has been doing work lately (eight runs and a .310 AVG over the last seven days). He is still existing based on a ridiculous BAbip (.418), but he has shown the ability to stay hot. During his hot streaks, he’ll score and steal a ton. I don’t see any reason not to add him at the moment. When he starts to strike-out again (which he will), simply dump him. Ike Davis – The Ike test might be a great generational question. 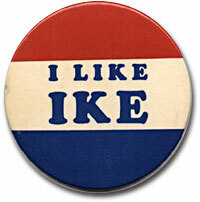 When you say the name Ike, who does it remind you of, the character from South Park or a former general turned president? Well, for Mets fans, if Ike Davis turns in seven day stretches like he has recently (two HRs and a .364 AVG), they’ll forget all about the animated series and 34th president. While his average won’t help you, he does have 17 HRs on the year. See if he continues his recent surge and, if so, add him. 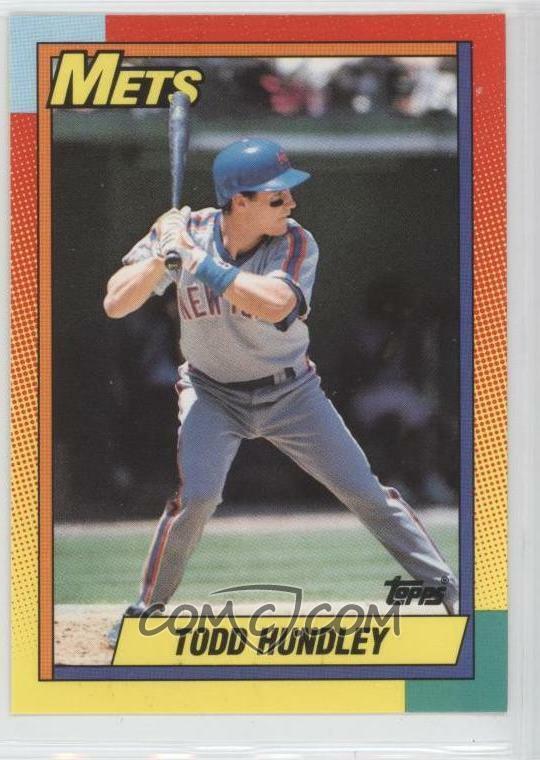 Nick Hundley – I had a billion Todd Hundley rookie cards when I was a kid, which makes me kind of despise Nick Hundley. However, Nick has been real good over the last seven days (two HRs, seven RBIs). In fact, over his last 40 ABs, he has hit .293. Unlike, say, Miguel Olivo, Hundley won’t destroy your batting average. Sure he doesn’t hit for a ton of power, but you can do a lot worse at catcher. Jordan Zimmerman – It is always nice to see players bounce back from injuries. In this case, Zimmerman has come back from a lengthy lay-off to get major league hitters out – no small feat (just ask Brien Taylor). Over the last seven days, Zimmerman pitcher 10 innings, struck out 11 and posted a 0.90/0.80 ERA/WHIP. He won’t throw a ton of innings, so his value is limited. However, in the interim, there is nothing wrong with someone who is going to strike-out a batter an inning. Ian Desmond – I swear, even though I live in D.C., I’m not a Nats fan. Katy Perry, even though she wants to establish residency in a far inferior country, just seems to like the gleam in their player’s eyes. Desmond has long been a favorite and keeps putting up usable weeks (five runs, four RBIs and a .476 AVG). You can (and probably are) doing much worse at the middle infield position. Luke French – It’s easy to overlook what French has done this year (just 26 Ks in 59.1 IPs), however he keeps putting up useable turns (seven shutout IPs and a 0.57 WHIP over the last seven days). He has been a tad lucky (.250 BAbip) so his season-long ERA (3.64) is a bit nicer than it should be. However, I see no problem with spot-starting him at home against weaker hitting ball clubs. Chris Sale – Awhile back, I spoke with Joel Henard about the Chris Sale call-up. At the time, the White Sox bull-pen was in fine form, so I saw Sale as nothing other than an incredibly useful situational lefty. Well, over the last week, with relievers not getting their Rolaids, Sale struck out five batters over 4.2 IPs, got a win and a save and didn’t allow a run. For those chasing saves, he is a pretty attractive option. Madison Bumgarner – For some reason, I find Bumgarner’s name distasteful, like a mouth-full of sand. Anyway, that’s about all I can find distasteful, as he keeps putting up solid turn after solid turn. Over the last seven days, he hurled 13.1 IPs, struck out nine and posted a 0.68/1.05 ERA/WHIP. He has been a tad lucky with a strand rate near 80%, but other than that he is a super useful pitcher. He is a nice add in mid-sized leagues. Tommy Hunter – What a great name! He’s no Tommy Gunn, but, well, Gunn did end up in the trash, while Hunter should simply end up in the free agent pool. Seriously how many weeks does he have to have like the most recent (12.2 IPs, only seven Ks and a 6.39 ERA and 1.58 WHIP) before you drop him? On the year, he has a .257 BAbip and 80.7% strand rate – he has been real lucky. While his ERA is a smidge below 4.00, he has pitched much more like a pitcher with a mid-5.00 ERA. Do yourself (not your opponent) a favor and drop him for, say, Madison Bumgarner. Javier Vazquez – The thing people haven’t realized about Vazquez is that, even amid his horrific year, he’s been lucky! That’s hard to do. Yet people still went out and added him when he got a rotation spot back. Well, he rewarded them, with 4.2 IPs, a 9.64 ERA and 1.71 WHIP over the last seven days. He has a .269 BAbip. Pinstripes turn him into something vile, just ditch him. Anibal Sanchez – Sanchez did some damage to teams when they needed him most (11 IPs, a 5.73 ERA and 1.27 WHIP last week). Well, I’m going to ignore that and say you need to trust him this week. He has been legit all year (.316 BAbip, 70.7% strand rate and 7.01 Ks/9). Sure, he has somehow completely limited his HR/FB rate (just 3.7% this year), but I still think he is a definite match-ups play. Carlos Pena – This is the typical spot where I say that players like Pena will end up here a lot because they strike-out a ton and thus have wide average swings. However, I’ve not going to do that. Instead, I think weeks like the last one (0/17) have become commonplace for Pena. If you don’t care about AVG and really need power, sure keep him around, but that’s the only reason to own him. Adam LaRoche – Second-half juggernaut LaRoche hasn’t been very X-men villain-like. Sure his slugging is up a bit, but he’s on pace to hit the same amount of HRs as he did in the first half. What’s worse is that he seems to be sputtering toward the finish line (just .182 AVG over the last seven days). With the depth of the first base pool, I wouldn’t be waiting for a vintage LaRoche endgame. Pablo Sandoval – As Jack Bauer would say, “you’re running out of time!” Seriously, Sandoval has yet to kick it in gear (.111 AVG over the last seven days) and I don’t think you should wait on him. Miguel Tejada makes a more attractive third base option at this point. All stats as of noon September 7, 2010. FB101’s 411: Be sure you know how to judge a hot streak. Thome, Jackson, Zimmerman, Desmond, Sale and Bumgarner make good adds. Keep your eye on Kalish, French, Hundley and Davis. You are allowed to sort of give up on Javier Vazquez, Carlos Pena, Tommy Hunter, and Pablo Sandoval.